SIXTEEN years ago, a Porsche SUV was unthinkable, then along came the Cayenne. The German brand was ahead of the curve, cashing in on the rise of SUVs before other luxury brands followed suit - and using the massive profits to underpin its sports car line-up. The third-generation Cayenne may look just like its predecessor but it is new from the ground up, with engines and transmissions included in the overhaul. It has the same footprint as before but Porsche has made the body slightly longer, wider and lower. Initially there are three versions, all petrol and each with an eight-speed auto turning all wheels. 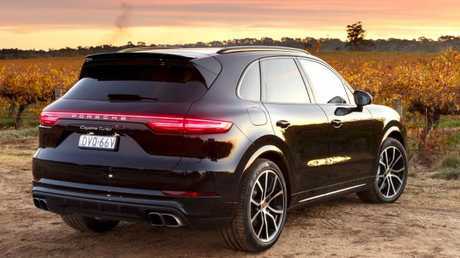 The Cayenne starts from $116,300 plus on-road costs - an increase of $6200 - but its 3.0-litre V6 is now turbocharged. A successor to the previous price-leader and most popular variant - the 3.0-litre V6 turbo diesel - is yet to be confirmed and understood to be at least a year away. In the interim, a plug-in hybrid Cayenne priced from $135,600 and due later this year is intended to appeal to cashed-up fuel-misers. The range then jumps to the Cayenne S from $155,100 (up by $10,600). As before, it's powered by a twin-turbo V6 that has dropped from 3.0 to 2.9 litres in capacity, shared with the Audi RS4 although with a lower power output. 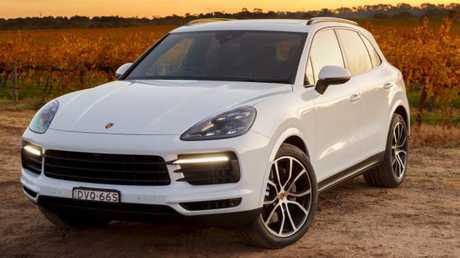 The flagship Cayenne Turbo - priced from $239,400, up $1900 - retains twin-turbo V8 power, drops from 4.8 to 4.0 litres in capacity yet has more power and even more brutal acceleration. The safety package is a mixed bag. On each version there are bigger brakes - with four, six or 10-piston front calipers - and 10 airbags, including knee protection for driver and front passenger and chest airbags for occupants in the outer back seat positions. Blind zone warning is standard but rear cross-traffic alert, fitted to most new premium-priced SUVs, is not available. The Cayenne comes with partial autonomous emergency braking that doesn't bring the car to a complete halt, although the forward-facing camera can spot pedestrians and cyclists - you need to opt for radar cruise control ($3790) for full AEB. Lane-keeping assistance is a $1390 option. Radar cruise control and lane keeping assistance are standard on a $26,000 Kia Cerato sedan and a $62,000 Ford Ranger ute, for example, so it's unusual for this technology not to be standard on a $116,000-plus vehicle. Camera-based speed sign recognition is available overseas but not yet on Australian-delivered examples. Local versions rely solely on map-based data that can quickly become out of date and does not detect roadworks speed signs. 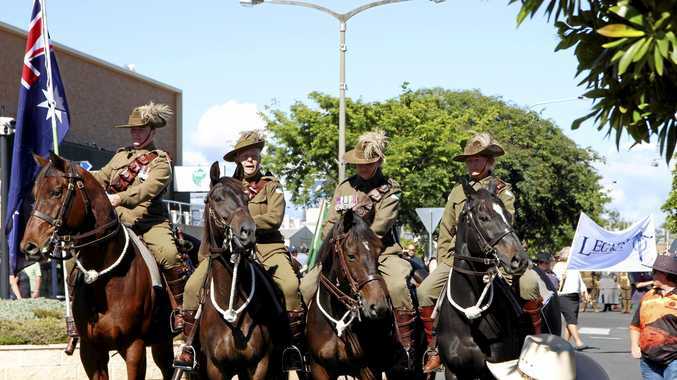 Wireless phone charging is conspicuous by its absence. Apple CarPlay, digital radio and built-in nav can be accessed via the high-resolution 12.3-inch touchscreen but Android Auto is not available. Audiophiles have a choice of Burmester sound ($12,900) or Bose ($4360). For each, the subwoofer occupies some of the space next to the collapsible space-saver spare and inflation kit stowed under the cargo floor. A new sliding and tilting rear seat increases both boot space and rear legroom but for now there's still no prospect of a seven-seat version. The base V6 with standard suspension and optional 21-inch wheels and low-profile tyres is a touch jittery and noisy on back roads - we suspect it would be quieter and more comfortable on the standard 19-inch wheel and tyre package. That said, it steers with incredible precision and the two-tonner's body doesn't lean when threading narrow winding roads. The turbo has enough oomph to warrant the Porsche badge and completes the 0-100km/h sprint in just 6.1 seconds, faster than most hot hatches. The turbo also kicks in at lower revs than the Cayenne S, giving it slightly better responsiveness. The new twin-turbo V6 in the S lacks character but has impressive performance. 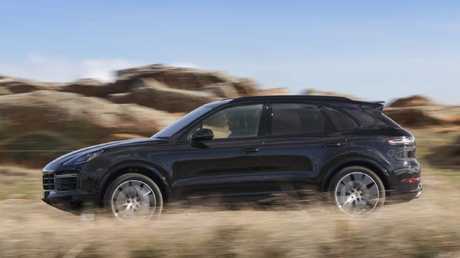 Its sprint time of 5.1 seconds is marginally quicker than the original Cayenne Turbo V8. Equipped with "three chamber" air suspension as standard, it irons out bumps better than the base model but we suspect comfort could be further enhanced by not opting for alloys as large as Ferris wheels. The flagship Turbo is mind-bogglingly quick. We only had a short time with the car - and no corners, so we can't comment in depth on how it drives - but can attest it's quicker than the claimed 3.9 seconds in the 0-100km/h dash. We consistently clocked 3.8 secs. Resets the benchmark for SUV performance and handling but its standard safety list needs work. Cayenne: Distinctive silhouette carries over but panels are new. PRICE The base 3.0-litre V6 has risen $6200 to $116,300 plus on-road costs. The Cayenne S is up $10,600 to $155,100 and flagship Cayenne Turbo increases by $1900 to $239,400. TECH Partial autonomous emergency braking on all models does not bring the car to a halt, that function only available with optional radar cruise control. The headlights are standard LEDs on Cayenne, cornering LEDs on Cayenne S and Turbo. A $4380 option on all models: matrix headlights (84 LEDs each) with high-beams that mask oncoming cars. DRIVING The base model has steel sprung adaptive suspension that adjusts the shock absorbers. "Three chamber" air suspension is standard on Cayenne S and Turbo. Wheels are larger than before (19, 20, 21 and 22-inch alloys available). Rear tyres are wider than the fronts, for even better road holding. versus 4.8 but has more grunt than before (404kW/770Nm). All are paired with eight-speed torque converter autos versus seven-speeders previously. 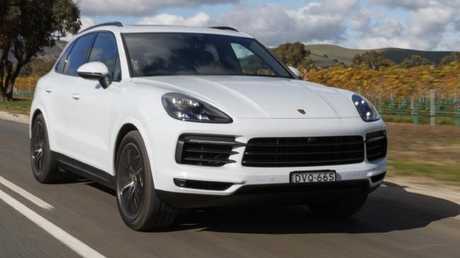 DESIGN Similarity to its predecessor is part of Porsche's plan to make the Cayenne's silhouette as distinctive and identifiable as its 911 sports car. As before, every exterior panel is aluminium. However more extensive use of lightweight metals in the structure trims up to 65kg. In steel, it would have been 225kg heavier, Porsche says.